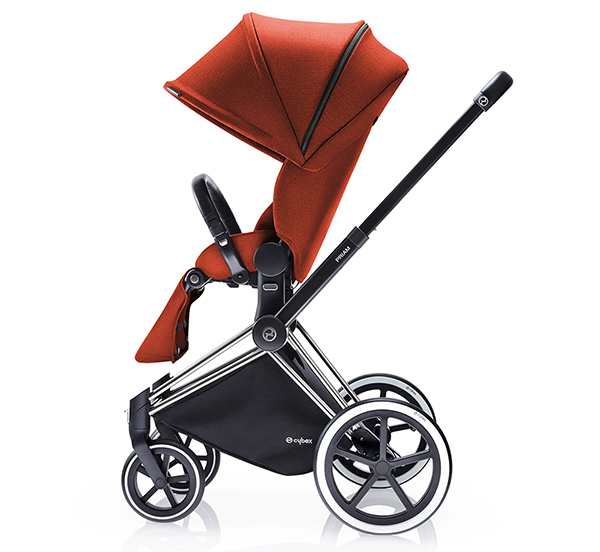 More than just a pram, the Cybex Priam is an extension of your own personal style. A pram that’s as easy on the eye as it is to operate, we think you’re going to be pleasantly surprised to find it’s the details that make this design impeccable. Click on through to discover just what exactly lies under the gorgeous sun canopy of the Cybex Priam. 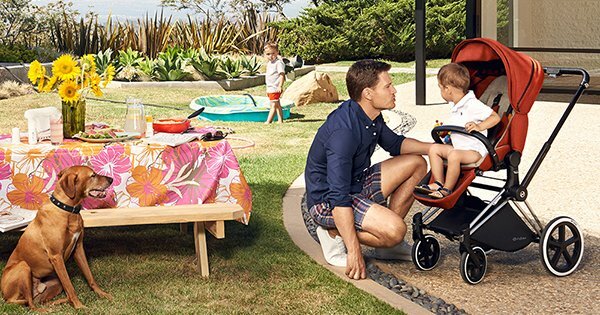 Not only a leading brand in terms of child safety, Cybex are also making a name for themselves as an emerging force in the fashion and lifestyle market. This fresh approach pushes the design boundaries for parents who want a pram that truly has it all – safety, function and amazing design. The Cybex Priam pram has all your pram needs met from the get-go. The only pram you’ll need to see your child right through their pushchair years, this magnificent ride is suitable for children from birth to four years (or 22 kilograms). For even more convenience, the Priam pram is compatible with the Cybex Carry Cot for newborns. A feature that can’t go unmentioned is the one-hand fold into free-standing position and the added bonus of adjusting the Priam Lux seat into different positions single-handedly, which you’ll truly appreciate when you have a sleeping baby in one arm (or a really wriggly toddler!). No terrain is too much for the Cybex Priam pram, this lightweight (9.6 kilograms) aluminium frame with beautifully soft suspension delivers a comfortable ride every time and even takes on steps, kerbs and sand with ease thanks to its capable handling in two-wheel mode. You don’t even have to remove the seat, it’s all done in a simple switch with one hand. 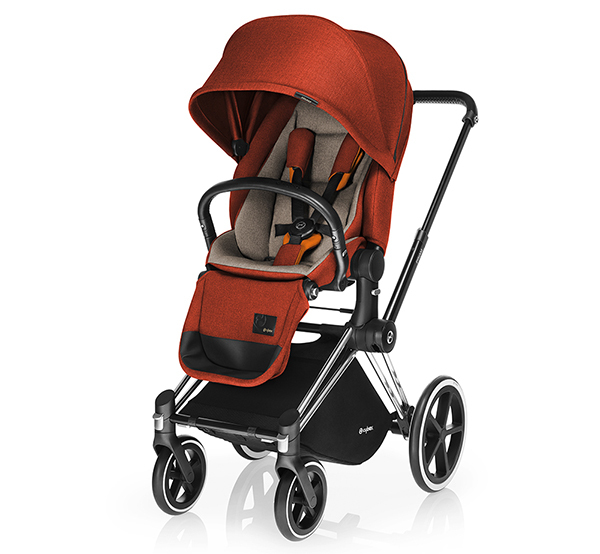 When out and about strolling in Cybex style, the Priam Lux seat easily switches from forward to rear facing, enabling your child to really take in his or her surroundings. When it comes to stopping for a coffee or a quick bite to eat at your local cafe, your little one can join in on the table action while remaining safely fastened in the pram because the Priam is perfectly aligned with the average table height (80 centimetres), so there’s no need to hunt down a high chair or balance a baby on your lap. A height adjustable handle bar makes for perfect pram pushing posture while the unique denim look of the Priam twill effect fabric is gorgeous as well as durable, and exclusive to Cybex. Of course the amazing specs don’t stop there. The Cybex Priam also has an awesome extra large UPF50+ sun canopy, removable bumper bar, massive storage basket with net, plus a comfortable seat cover all included! Coming soon to CNP Brands, the Cybex Priam is priced $1699.99, with the Cybex Carry Cot available separately at $269.99.